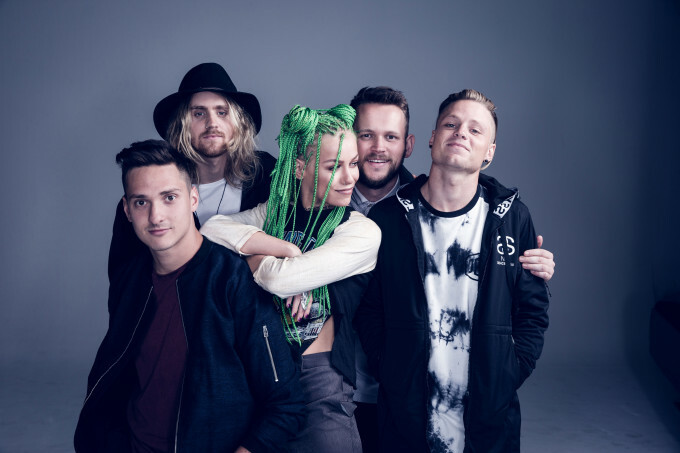 VIDEO : Tonight Alive – How Does It Feel? Tonight Alive were one of the surprise packets of Sony Music’s showcase in Sydney as part of last year’s ARIA week, serving up superb pop/rock realness, great hooks and a pretty impressive vocal courtesy of lead singer Jenna McDougall. 2016 will be a big year for the group as they embark on the promotional journey for their about-to-be-released album ‘Limitless’, due in early March. But they’re beginning the ride with the video for their new single ‘How Does It Feel?’, which sees the band performing the synth-laden rock number within a fluorescent tube-lined platform. If you have the chance across the year, be sure to catch the band live… they’re pretty phenomenal.